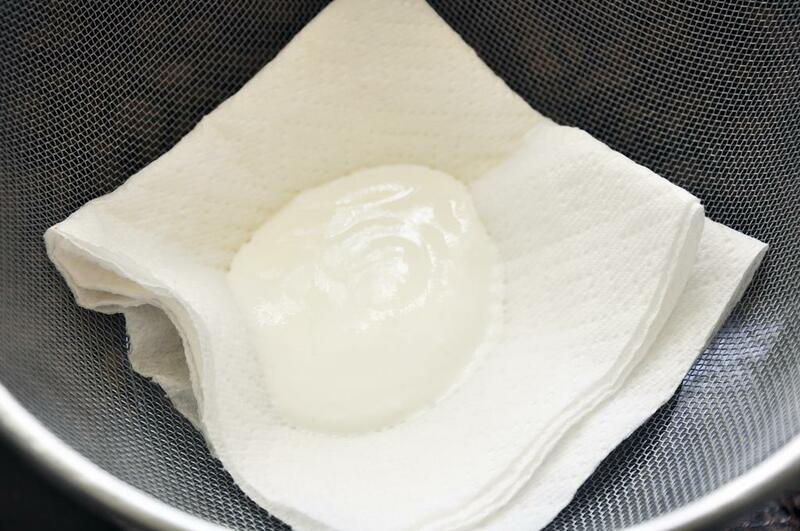 In a medium pot, gently place the eggs and fill with cold water until eggs are covered. Cover and heat over medium heat until it comes to a boil. Remove from heat and let sit, covered, for 20 minutes. 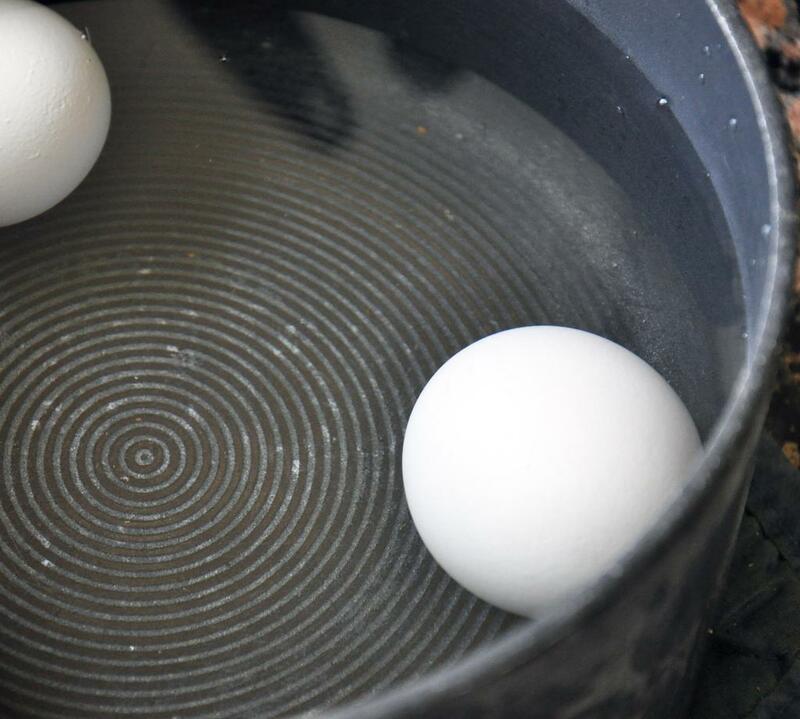 Drain and plunge into an ice-water bath until eggs come to room temperature. If you have time, you can skip this step and put the drained, slightly cooled eggs into the fridge overnight. 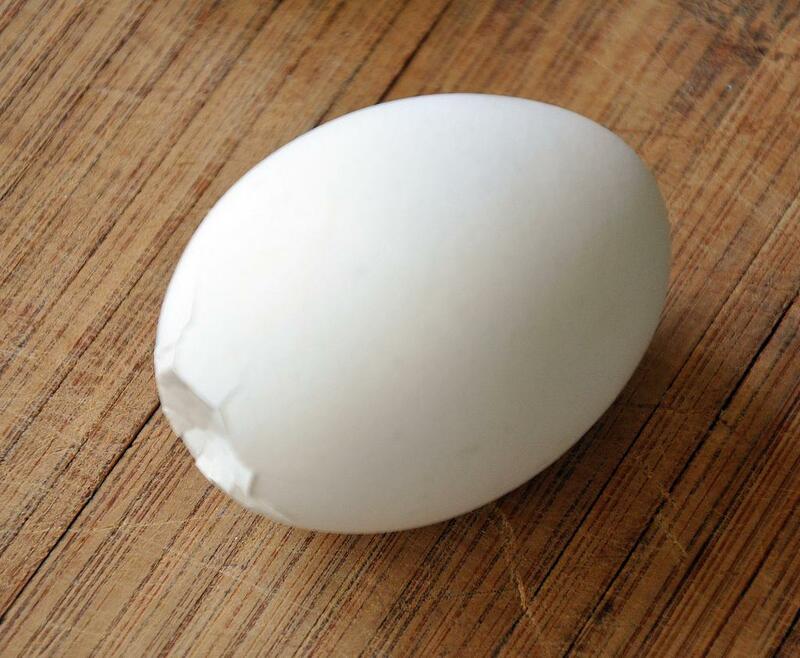 When eggs are cooled, gently crack the bottoms on a hard surface. Peel carefully to keep the whites in tact. Half the eggs lengthwise and scoop out the yolks into a small bowl. 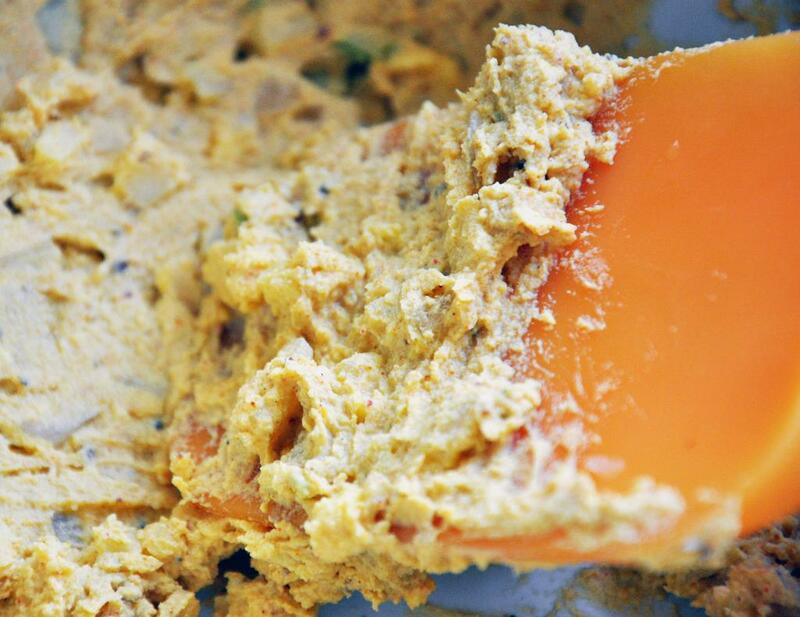 Mash the yolks until they are in small pieces. 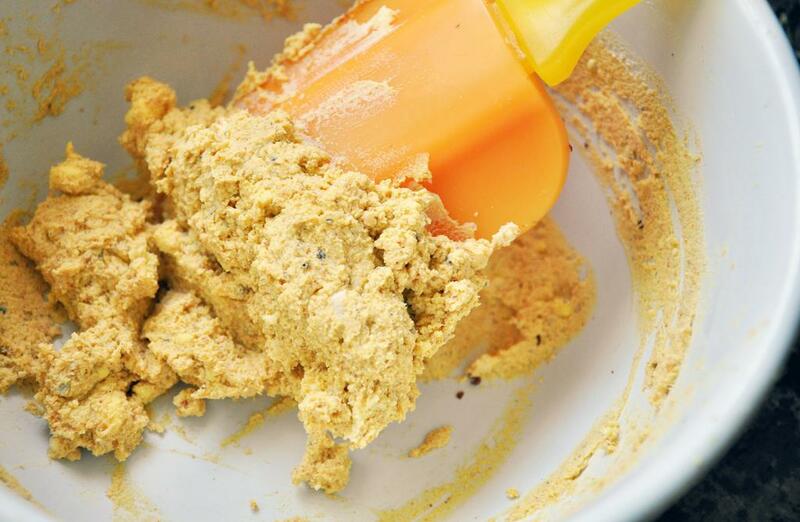 Add the yogurt, curry powder, mustard, salt and cayenne and mix well. 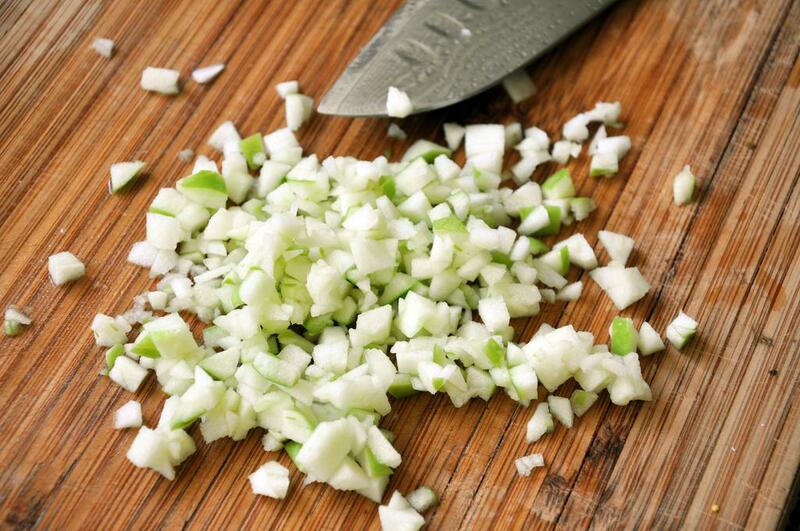 Add apple and onion and mix again. Adjust seasonings. Carefully scoop the mixture back into the whites. Serve. 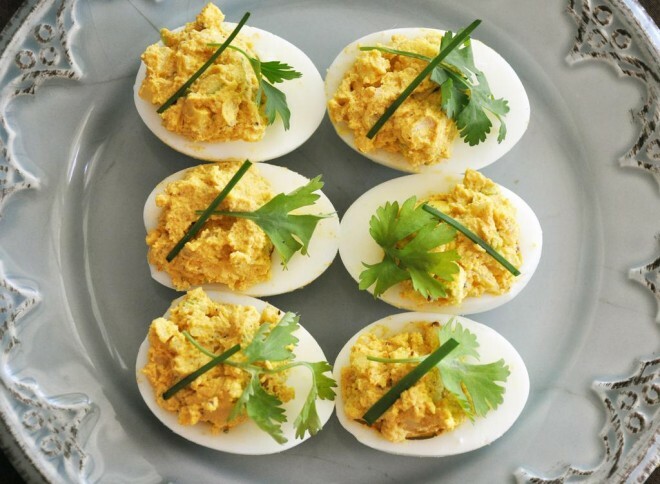 If you don't have a deviled egg platter and the eggs are sliding around, cut just a bit of the bottom off so they sit flat.